Douglas Soccio was professor of philosophy at Shasta College for nearly 30 years. 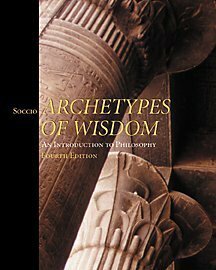 In addition to ARCHETYPES OF WISDOM: AN INTRODUCTION TO PHILOSOPHY, 9E, he is the author of HOW TO GET THE MOST OUT OF PHILOSOPHY, and, with Vincent E. Barry, PRACTICAL LOGIC, all of which are published by Cengage Learning. For three years he wrote a weekly philosophy column for the REDDING RECORD SEARCHLIGHT. Now devoted to writing on a full-time basis, he is presently developing a collection of philosophical stories that express what he describes as "philosophy with a heart," a generous notion of philosophy that infuses all of his writing.